BUTE Limiter (Surround version) by Signum Audio is a Virtual Effect Audio Plugin. It functions as a VST Plugin, an Audio Units Plugin, a VST 3 Plugin and an AAX Plugin. 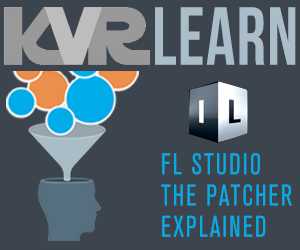 If you're looking for high fidelity pro-audio limiting, look no further. Our smooth and transparent True Peak Brickwall Limiter delivers superior sound quality for use on your final master or individual tracks during mixing. A minimalistic user-interface making it incredibly easy to use. Collapsable window for numerical data-only view so you can save valuable screen space. True peak, ultra transparent limiting, with a novel approach to brick wall limiting making it "overshoot proof". Surround to up to 10 Channel Atmos. Automatic reading re-metering to reflect adjustments. 5 Different release curves to choose from, with automatic release time calculation depending on content. In-Depth history and readings for True Peak, Threshold and Gain Reduction. Useful Pre-Gain to push or reduce the incoming signal's volume. Gain matching function (activated when holding shift while moving the threshold). Available in Stereo and Surround versions. 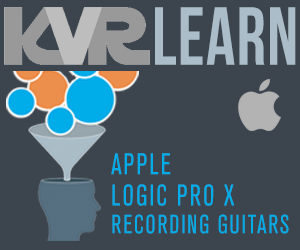 Compatible with Mac (10.9 or higher), Windows (8.1 or higher) and 64-bit VST / VST3 / AU / AAX (including Audio Suite). Pro Tools 12.5 or higher. Included with the BUTE Loudness Suite alongside our Analyser and Normaliser. Designed with absolute transparency in mind, the BUTE Limiter delivers beautifully smooth limiting with no compromises. Our advanced algorithms have specifically been developed to provide pinpoint precision while maintaining total transparency, preserving the fidelty of your original audio and avoiding unwanted artifacts or alterations. We only use highest quality linear phase upsampling in our True Peak Brickwall Limiter. 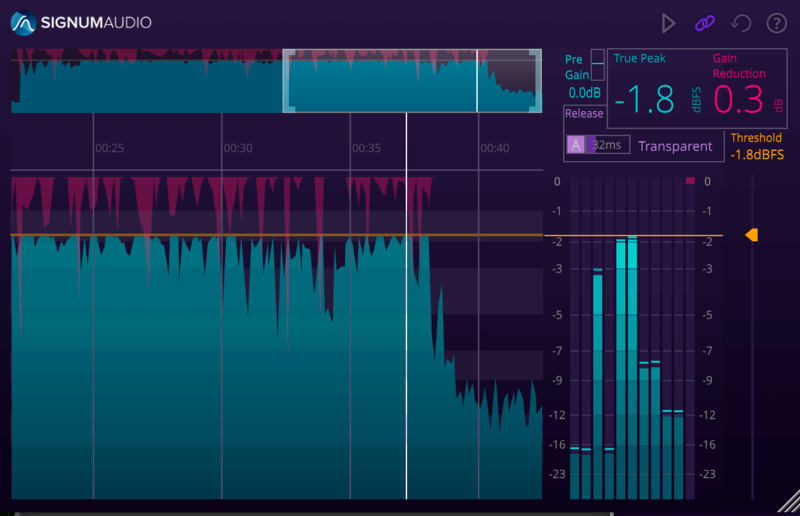 We have designed our novel algorithms from scratch to guarantee no true peak overshoots helping make this the ultimate mastering limiter for broadcasters and producers. You can see precisely how much of your audio is being taken off on the highly informative graph. The minimalistic user interface makes it simple to get great sound from our limiter. 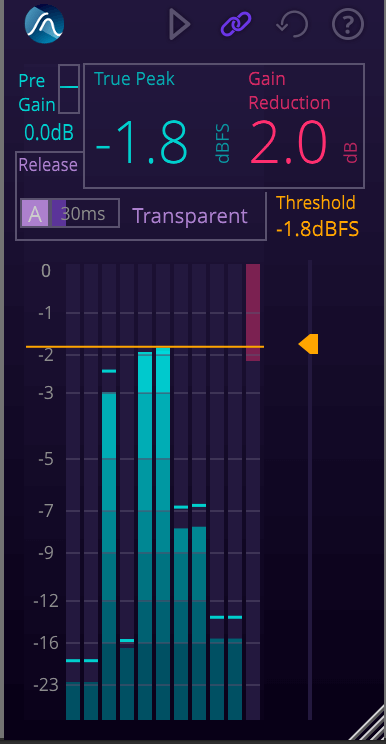 Easily adjust Gain and Release to tweak your audio just how you want it, seeing clear and precise readings displayed throughout. Automatic re-metering enables you to see in realtime how your output changes when you play your track back after adjustments. Alternatively, you can easily collapse the window to a numerical data-only view to declutter your session and save on valuable screen real-estate. With 5 Different release modes to choose from including Linear, Transparent and Pumping, with optional automatic release time calculation depending on content. By using the Pre-Gain you can use it as a maximiser for extra versatility. All of our plugins work with Mac (>10.9) and Windows (>8.1), and are compatible with 64-bit VST, AU and AAX. The plugin comes in Stereo or Surround versions, with Surround providing additional multi-channel support for up to 10 channel Atmos.